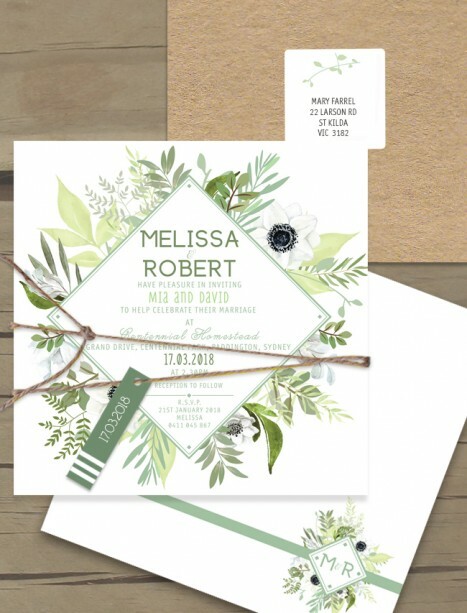 Bursting with fresh energy this stunning wedding invitation is so lush and ready to impress. At a great price so such an elegant card is hard to go past. We can change the envelopes to kraft or a green to match up your wedding theme. All matching items are available, rsvp cards, wishing wells, menus, placecards etc please ask us for pics so you can see the full range of this stunning design!